..:: ARMIN RAHN - Agency & Management - Joaquin Cortes ::.. He was born in Cordoba into a gipsy family in 1969; he moved to Madrid and when he was twelve years old he started his dancing studies. He was accepted into the Spanish National Ballet at the age of fifteen and he soon was promoted to soloist. He travelled all round the world with this company, performing in theatres such as the Metropolitan Opera House in New York or the Congress Kremlin Palace in Moscow. After leaving the National Ballet he participated in various shows alongside outstanding figures such as Maya Plisetskaya, Silvie Guillem and Peter Schauffuss. He also worked as a guest star or as a choreographer. Amongst his work we can distinguish the following: the choreography for Carmen at the Verona Arena, his participation at the Flamenco Summer Festival in Tokyo, shows at the Lincoln Centre in New York and taking part in the making of the classic “Don Quijote” with the Ballet of Caracas. In 1992, after a performance at the Champs Elysées Theatre in Paris, he created his own company: Joaquín Cortés Ballet Flamenco. He premiered his first show called “Cibayí” ( a romaní word of the gipsy language that means “beautiful”) it was known as a masterpiece by most of the traditional flamenco artists. With Lola Greco before and Merche Esmeralda later, including Joaquín Grilo from Jerez, and a wonderful musicians such as Juan diego, Montoyita (José Carbonell) El Paquete and Manuel Parrilla on the guitars, Juan Parrilla (flute) Bernardo Parrilla (violin) Javier colina (double bass), El Negri on percussion and voices of Juan José Amador, Morenito de Illora, Charo Manzano, Juañares y chelo Pantoja. Special mentioning themes were the Alegrias by El Grilo, and Rondeñas by Lola Greco, the Soleá by Merche Esmeralda y specially the two solos by Cortes: a solea por Bulerias and the Farruca, full of soul, amazing flamenco style harking back to the traditions of even the oldest flamenco dancers. and Kirov Theater in Lenningrade, France, Japan, Italy, Venezuela and the United States. He was also invited to perform at the Andalusian Gala, broadcast by Canal Sur in 1994. He made his cinema debut with Pedro Almodóvar who gave him a part in his film ‘La flor de mi secreto’ and he repeated the experience in Carlos Saura’s Flamenco. His second show was “Gipsy Passion” which opened in 1995 at the Albéniz Theatre in Madrid, was seen by more than a million people. The tour lasted four years and it visited more than thirty countries in all five continents. There were distinguished performances at the prestigious Spoleto Festival, the Forum in Milan, the Radio City Music Hall and the City Centre in New York, the Universal Theatre in Los Angeles, the Royal Albert Hall in London, Sydney Festival, the Luna Park in Buenos Aires, Ipanema beach in Rio de Janeiro, the Palau Sant Jordy in Barcelona, Caracas’ polyhedron, the Tokyo-Forum and Ventas Bullring among others. The show was performed for more than four years undergoing important changes on its content as Cortés is always open to evolution in his shows. In 1996 He introduced Aida Gómez as guess artist (later named as Spanish National Ballet Director). In Miami He was named as Universal Spaniard. In 1997, recorded a CD, as The Gipsy Passion Band, with the music of the show, which featured own Cortés on percussion. This group was performing in the Montreal Festival, where they offered a gig including Estrella Morente and Antonio Carbonell as special guests (Flamenco singers). In January 1999 he moved to New York where he got in touch with other music and dance tendencies and he started to collaborate with the renowned choreographer Debbie Allen. Together they worked on the ceremony of the 71st Annual Academy Awards. In April he created in Spain Fundacion Gitana Joaquín Cortés for Promotion and development of gipsy culture and art. He returned to Spain to prepare for his participation in the opening ceremony of the World Athletic Championships, in which he played the role of Hercules. He losed that gala that was broadcast to the whole world with an audience that has been estimated at 2.5 billion people. The 14th of October 2000, saw the opening night of his new show “Soul” at the Tívoli Theatre in Barcelona to great public acclaim. “Soul” was also a great success and travelled worldwide cities, such as London, Pekin, Milano, Tokio, Hannover (Universal Exposition), Beirut (Beittedine Festival). In January 2000 Joaquín started filming of “Gitano” in Granada. This was his first lead role in a movie written by one of the most prestigious writers in Spain, Arturo Pérez Reverte and directed by Manuel Palacios. He shares the screen with Laetitia Casta, Pilar Bardem and Juan Diego. The premier was on the 31st August in Madrid. Joaquín Cortes’ gipsy soul was shown world wide with “Soul”. The show toured many different towns: London, Pekin, Hannover, Beirut and many South American cities. In February 2001 he opened the Viña del Mar festival. After forty two years this is the first time a dancer has taken part in the most important Latin music festival in South America. Together with Pino Sagliocco he produced a new show “Pura Pasion”, directed by his uncle, Cristobal Reyes. The premier took place in London on 28th February 2001. 2001 closed with a resoundingly successful month’s run in Madrid. 2001 That year finished with a completely sold out season. His new show “Live” had his premier in 7th March 2001 at Tivoli theatre in Barcelona. This had a massive response from the public and was only the beginning of his World Tour. “Live” is still alive on stage after touring the most important cities in South America, Italy, Portugal, Russia, Germany and Spain. We can distinguish the great success in the Maestranza Theatre in Seville which is the “cradle” of flamenco and the performances in Moscow and St. Petersburg where the attendances reached 5.000 and 8.000 respectively. In the meantime he has collaborated with Jennifer López. They both shared a stage in a live telecast concert that she offered in Puerto Rico. Meanwhile Cortés has even found time to surprise his audience by dancing a Tango with Alicia Keys at the Grammy Awards in 2001. The 2002 tour, started at the Royal Albert Hall in London, and continued through a European tour. 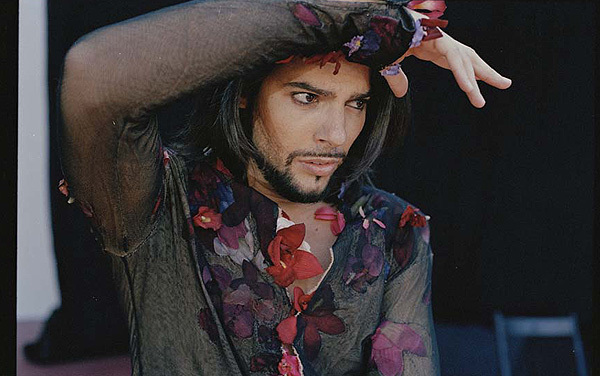 To finish year 2002, Joaquín Cortés was invited to perform at the traditional concert of the Nobel Peace Prize, that took place at the Oslo Spektrum on December 11th. He was the sole Spanish representative, and shared the stage with personalities such as Anthony Hopkins and Jessica Lange, who were in charge of introducing of artists such as Laura Pausini (Italy), Carlos Santana (Mexico), Willie Nelson (USA), Josh Groban (USA), Angelique Kidjo (Belgium), Jessy Norman (USA), Sissel (Norway), Michelle Branch (USA), Mari Boine (Norway), and Suede (England). The Royal Norwegian Family, the representative government, Jimmy Carter, the Nobel Peace Prize 2002, and many other personalities of the political and social life, attended the Concert. LIVE continued on tour throughout 2003 with great success. In Lisbon on the 25th April he played in front of 10.000 people at the Pavilhao Atlantico; in Greece, with a double visit to Athens; in Hong Kong in October, finishing the year with a tour of Austria and Germany. Not forgetting his audience in Spain, he performed a summer tour in bullrings in several cities in Spain, a tour which began in the Plaza de Toros “Los Califas”, and continued on to Lorca, Bilbao, Benidorm, Marbella, Madrid and Xativa. Joaquin has also supported numerous charities and has appeared at their gala functions such as the Royal Albert Hall in London, in the Charity Hope Gala ceremony and the Fashion Rocks gala for the “Prince’s Trust”. In May Joaquín Cortés organised auditions on a national scale from which he chose the dancers for this new project Joaquín Cortés Company. In September of 2003 he filmed “Vaniglia e Cioccolato” in Italy, directed by Ciro Ippolito, as a second entrance in the Seventh Art. 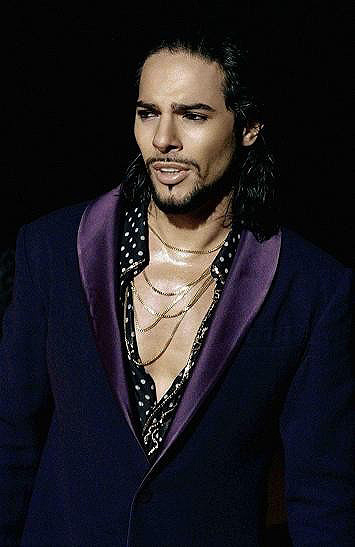 In 15 th of March 2004 premieres his new show “De Amor y Odio” in Milan with a new Company: Gypsy Cortés Company., at Theatre Dinners della Luna de Milan, a show produced and choreographed by himself, but where he is not dancing on stage. He wanted in the first place prepare basis on what his work would be after leaving active dancing and, on the other hand, give recognition to the new generation of dancers. De amor y Odio is a new contemporary conception of show talking of war, voilence, hanger, but also of love. From the artistic point of view is in the same line as LIVE was, a musical fusion and dance with a flamenco base, with provocative women dancers flying on the air with their naked chest. Choreography is by Joaquin Cortés, Cristóbal Reyes and Juan Carlos Lérida, and music by José Carbonell (Montoyita). It also performed at the Krelim Palais in Mocow, in Palotomatica in Rome, at the Ukraine Palais of Kiev, Amberes where it got insurpassable critics, at Lisboa, Oporto, Mexico, Guadalajara, Puerto Rico and Chivas Regal Festival of Dance in Madrid (26th of July to 8th of August 2004). Live was also touring so Joaquín was forced to tour both shows at the same time, travelling to Portugal, Greece, visiting Fashion Oscars and Vietnam. In December 2004, broadcast a TV campaign using Joaquin Cortés as the image of Sportive customs trademark FREDDY. The spot was also nominated as one of the best in Galá de la Publicitá. Live kept on touring around the world during the last three years, in New York, at the City Center, in September 2004. Joaquin Cortes performed a gala show at the White House on September 15th in celebration of Hispanic Heritage Month in the United States. 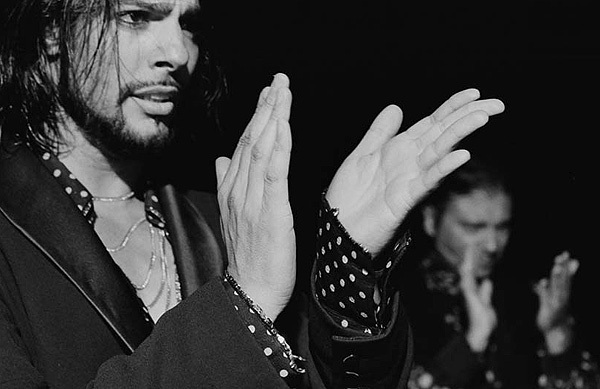 On the 3rd of May 2005 Cortés premiered his new show MI SOLEDAD in México DF, ever since he it’s been touring Venezuela, at Royal Albert Hall in London, and in an Italian Tour (performing in ten cities in a sell-out tour). Cortés was invited to perform in the Bolshoi in Moscow in a homage to the prima bailarina Maya Plisetskaya. On the 1st March, “Mi Soledad” held its European premiere in Paris and also performed at a special presentation of a new set of stage clothes, designed by Jean Paul Gaultier, the performance taking place in the theatre at the designer’s studio. The first show in Spain took place in Madrid at the Palacio de Vistalegre in front of 8000 people. 2006 also saw Cortés continue touring successfully with Mi Soledad and in particular a successful return to the Spanish market, after an absence of three years with summer tour of bull rings along the coast. The year continued with two shows on the Algarve, in various cities throughout Italy and in Cyprus, Pera and a gala show for the Red Cross. A separate collaboration with the Fundación Rava in Italy saw the construction of a children’s hospital in Haiti where Cortés attended the opening. The autumn of 2006 saw major advertising campaign by Samsonite which featured Cortés and was carried in all the press through Europe and South America with great acclaim. Cortés also posed for quality adverts for Choppard, IWC and Veuve Cliquot. In November, Cortés was nominated as Ambassador for the Romani People to the European Parliament. He was invited to a meeting in Brussels with Presidents Barroso and Borrell where he also addressed the Parliament with an impassioned speech expressing the depth of his feeling towards the romany peoples. In 2007, Cortés plans a tour of the UK in May and a later tour of Germany, followed by a month of shows in Italy during the summer, ending the year with a tour in Mexico and another one in South America. In his thirty eight years, Joaquín Cortés has contributed to flamenco inheritance with his own trademark. A unique style which he calls fusion where he draws in influences in an insatiable search for a self- identity.